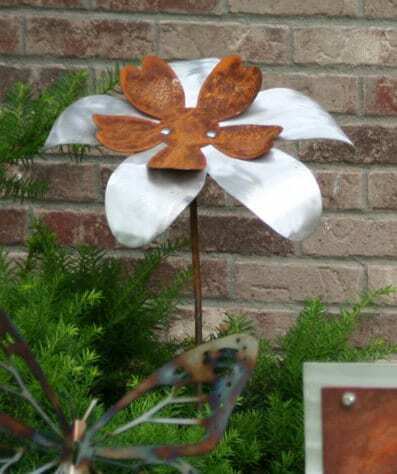 Multi-color Metal Flower Stakes are a beautiful way to add texture and modern design to your landscape. 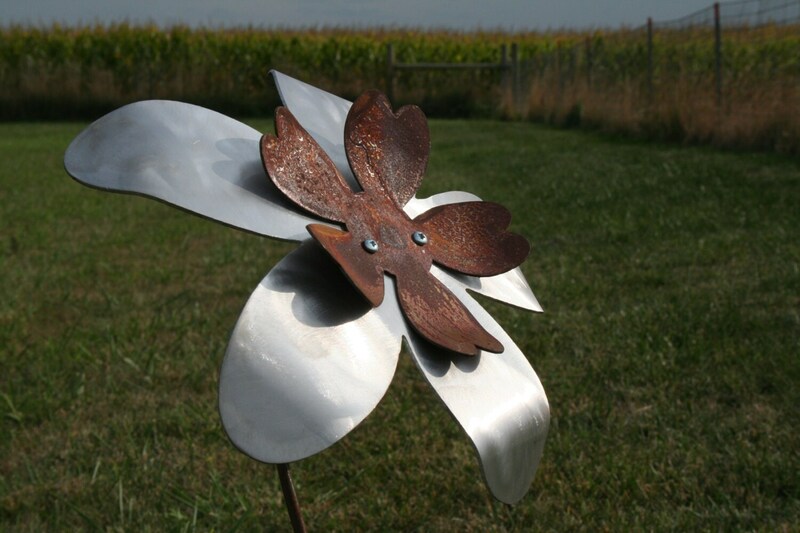 The bright aluminum petals will stay shiny as the front layer of petals rusts. The contrasting patina will only get better with time! 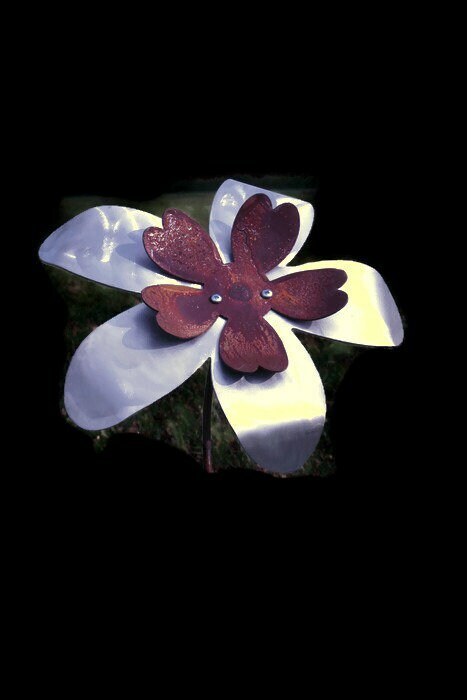 These unique flowers make a great gift item. 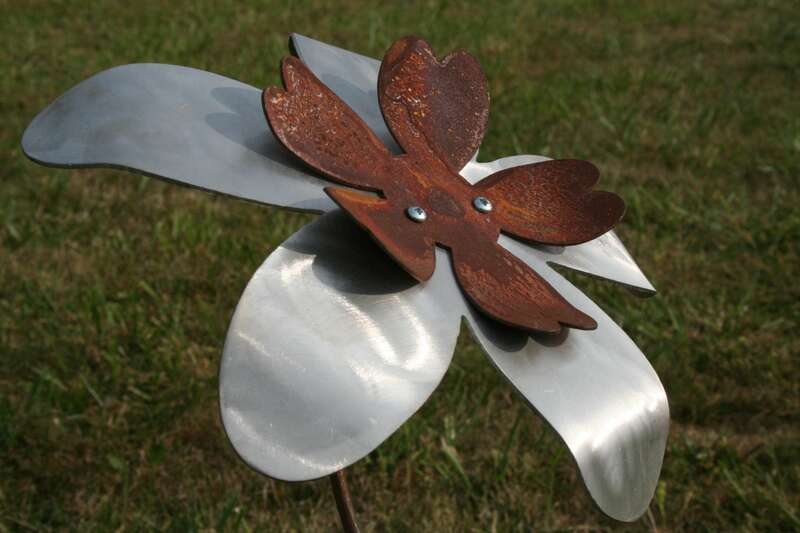 They require no watering, and they fit into any landscape -- classic or modern. The high visibility of these beautiful flowers helps them to contrast with the landscape as well. 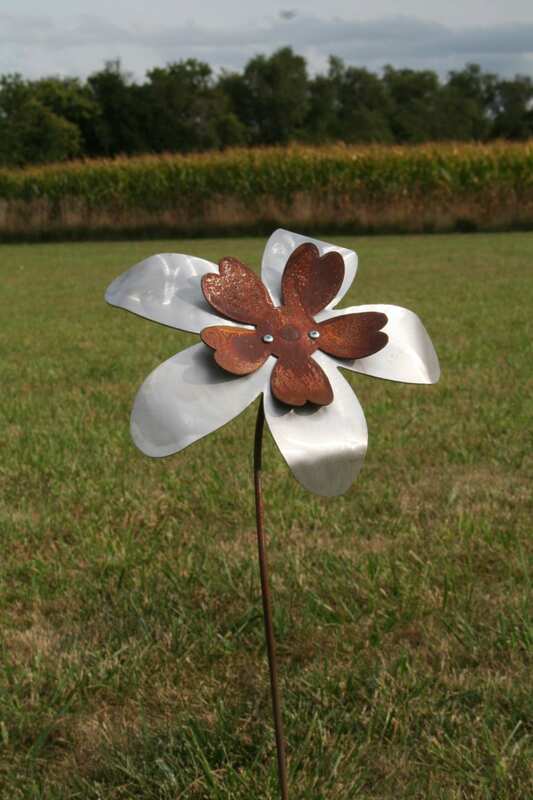 These modern flower stakes stand out from the vegetation -- even in the shade. Flowers are 33" tall overall, 20-23" tall after stake is pushed into the ground. The face is 12" wide. 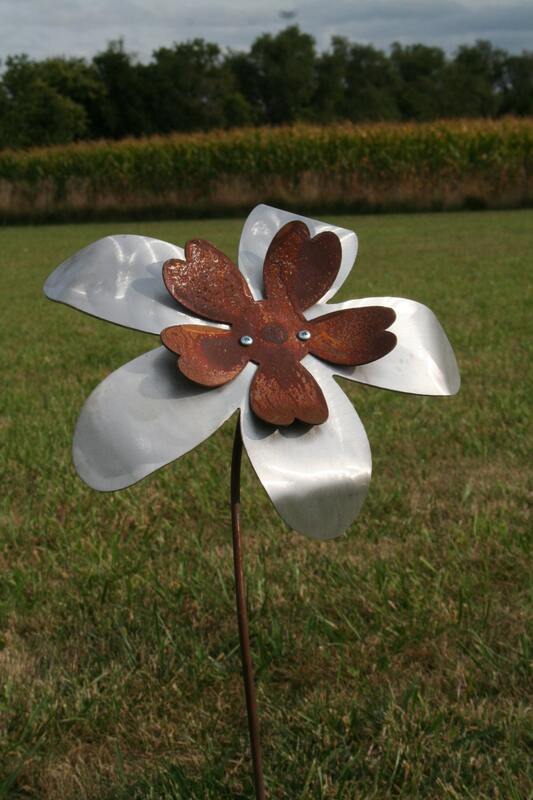 This bright, shining flower will be a statement piece in your landscape! 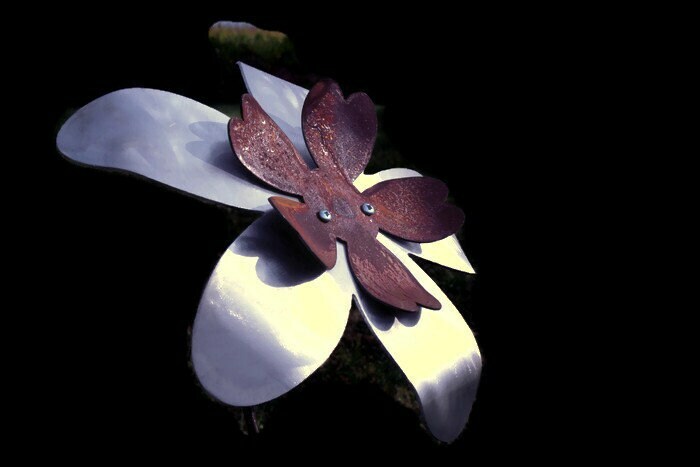 This flower is one of our personal favorites. We hope you love it as much as we love making them! 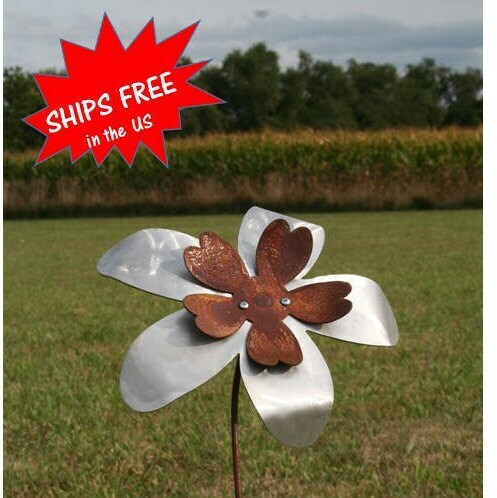 All of our items are made by the two of us in our home shop -- 100% made in USA and made to last.